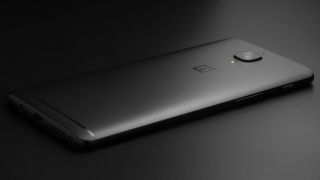 The OnePlus 5 will launch on June 20, just a few weeks after the company stopped selling its OnePlus 3T. We already know a lot about the phone, like that it will feature the Snapdragon 835 and will probably not get rid of the precious 3.5mm headphone jack. On OnePlus’ reveal event page, there’s a play on words regarding camera performance. Maybe the rumored dual-lens camera system will show up, too. So, what’s left to do other than unveil the device in-full? On OnePlus’ reveal event page, there’s a play on words regarding camera performance. So, maybe the rumored dual-lens camera system will show up, too. Either way, check out the livestream of the unveiling right here, on June 20 at 12PM EST (9AM PST, 5PM GMT) and be sure to stay tuned for our hands-on review once the device gets announced.